Research has shown that regular exercise benefits people with Parkinson’s disease. Aerobic exercise increases oxygen delivery and neurotransmitters to keep our heart, lungs, and nervous system healthy. General exercise may also reduce depression. Learning-based memory exercises can also help keep our memory sharp. There is increasing evidence that aerobic and learning-based exercises could be neuroprotective in aging individuals and those with neurodegenerative disease. Facilitating exercise programs that challenge our heart and lungs as well as promote good biomechanics, good posture, trunk rotation and normal rhythmic, symmetric movements are the best. Dancing to music may be particularly good for decreasing stiffness. Although research on this subject is ongoing, it does appear that beyond aerobic activities performed with healthy movement patterns, exercises challenging the individual to change tempo, activity, or direction (what is referred to as “random practice” exercise) benefits people with Parkinson’s disease. It is also important to keep variety in exercise activities, because individuals with Parkinson’s disease often have difficulty in shifting from one activity to another or in performing two activities at the same time. Exercises that require balance and preparatory adjustment of the body are also important along with rhythmic activities such as dancing, skipping and cycling can maintain the ability to perform reciprocal movements. Finally, exercises that promote attention and learning are beneficial. Swimming with different strokes with the eyes open and closed not only challenge motor learning but also increase heart rate and provide good cardiopulmonary conditioning. These exercises for cardiovascular, endurance and strengthening could be enriched by performing simultaneous activities such as reading, writing, problem solving, singing, watching the news or a movie or throwing and catching balls. Exercises that demand attention, repetition, progression of difficulty with spaced practice over time are the best exercise routines to promote learning. A note on bicycling: Parkinson’s disease impairs balance and reaction time. Traditional bicycles may pose a safety risk for some patients. Stationary, tandem and three-wheeled bikes are safe alternatives. Researchers from the University of Maryland School of Medicine and the Baltimore VA Medical Center found that Parkinson’s patients who walked on a treadmill at a comfortable speed for a longer duration—what’s considered a low-intensity exercise— improved their walking more than patients who walked for less time but at an increased speed and incline, a high-intensity exercise. They also found benefits for stretching and resistance exercises. 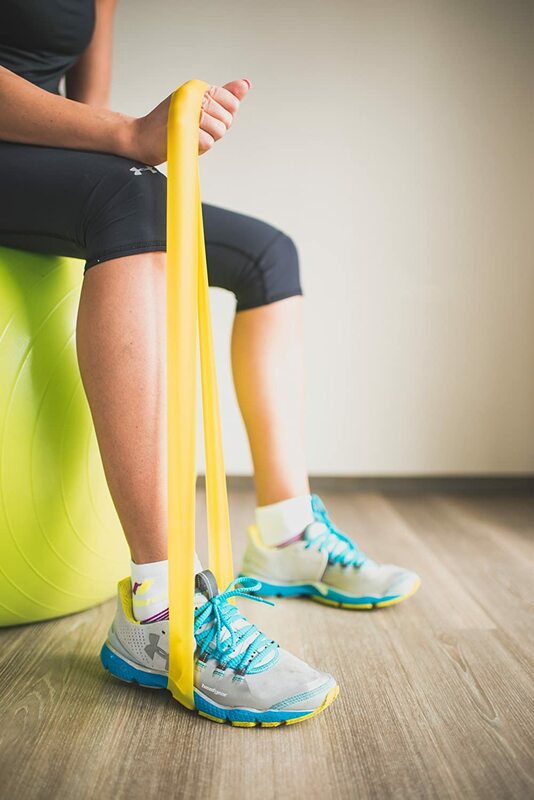 “Our study showed that low-intensity exercise performed for 50 minutes three times a week was the most beneficial in terms of helping participants improve their mobility,” says Lisa Shulman, MD, principal investigator and professor of neurology at the University of Maryland School of Medicine. “Walking difficulty is the major cause of disability in Parkinson’s disease. These results show that exercise in people with Parkinson’s disease can make a difference in their function. Exercise may, in fact, delay disability and help to preserve independence. “Many patients ask us what kind of exercise they should be doing. Now we can tell them that this research shows that low-intensity walking, which most people with Parkinson’s can do, combined with stretching and resistance training may be the best option,” adds Dr. Shulman, who is also co-director of the Maryland Parkinson’s Disease and Movement Disorders Center at the University of Maryland Medical Center. The study compared 67 people with Parkinson’s disease who were randomly assigned to one of three exercise groups: walking on a treadmill at low intensity for 50 minutes, higher-intensity treadmill training to improve cardiovascular fitness for 30 minutes, and using weights (leg presses, extensions and curls) and stretching exercises to improve muscle strength and range of motion. Participants exercised three times a week for three months under the supervision of exercise physiologists at the Baltimore VA Medical Center. “We saw positive effects with all three types of exercise, but the low-intensity training showed the most consistent improvement in gait and mobility,” says Dr. Shulman. “To maintain the best possible quality of life, people with Parkinson’s disease need practical, evidence-based advice about what kind of exercise will most benefit them over the long term. The Michael J. Fox Foundation has aimed to answer this question in its exercise funding to investigators such as Dr. Lisa Shulman and her team,” says Todd Sherer, PhD, chief program officer of The Michael J. Fox Foundation for Parkinson’s Research. The Maryland research team measured participants’ cardiovascular fitness before and after training, and found cardiovascular improvement in both the low- and high-intensity groups. Other measurements included the distance covered in a six-minute walk and timed tests of walking short distances, such as 50 feet. “The results of this study provide practical information to people with Parkinson’s disease to make decisions about managing their health and well-being. Our University of Maryland faculty members are committed to testing new approaches, such as exercise, to help patients,” says E. Albert Reece, MD, PhD, MBA, vice president for medical affairs, University of Maryland, and dean, University of Maryland School of Medicine. 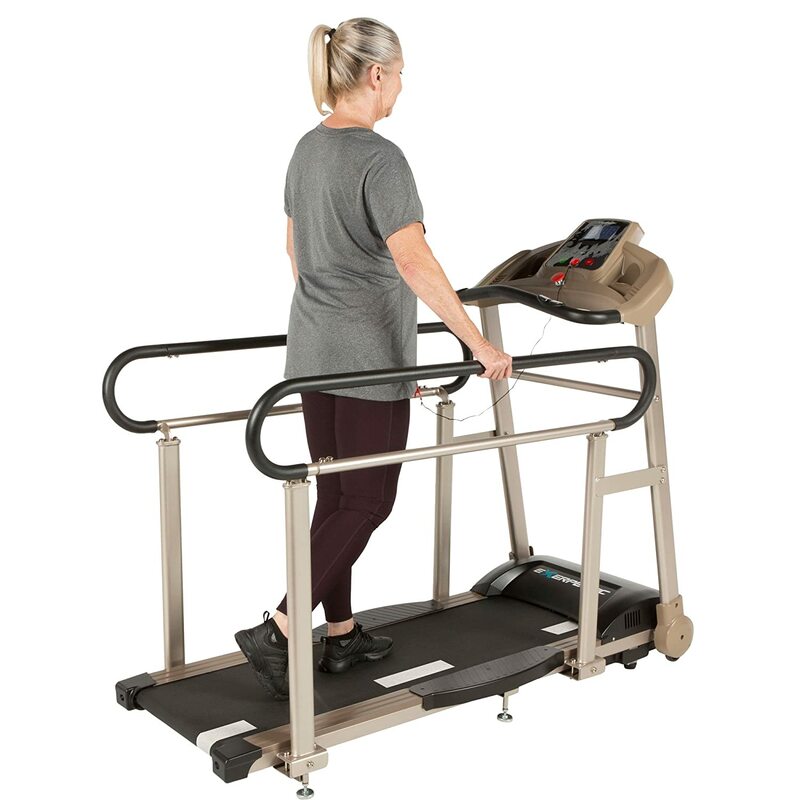 This Exerpeutic F2000 Recovery Fitness Walking Treadmill with Full Length Hand Rails is specifically designed for seniors and people in recovery. Weight lifting is NOT the best choice of an exercise program for the person with Parkinson’s disease, particularly if it is the only exercise activity. Individuals need to be careful how they perform strengthening exercises to minimize increasing stiffness and rigidity. When performed properly, strengthening exercises do have some value. As one ages, more exercise must be performed to maintain muscle mass. Muscle mass and strength allow an individual to complete daily chores and to maintain balance. Additionally, strengthening postural muscles may help to maintain a more upright posture. Integrative, functional exercises other than weight-training may strengthen muscles in ways that are more beneficial to individuals with Parkinson’s disease. Light weights are just as effective as heavy weights in maintaining muscle tone and do not increase stiffness as much. Walking with ankle weights and wrist weights can help strengthen while encouraging increased awareness of arm swinging and high stepping. Example: These Nordic Lifting 5 lb Ankle/Wrist Weights are fully adjustable to fit anyone, and can be used on either the ankles or wrists. Moderation is the best word for strength training without other forms of exercise. 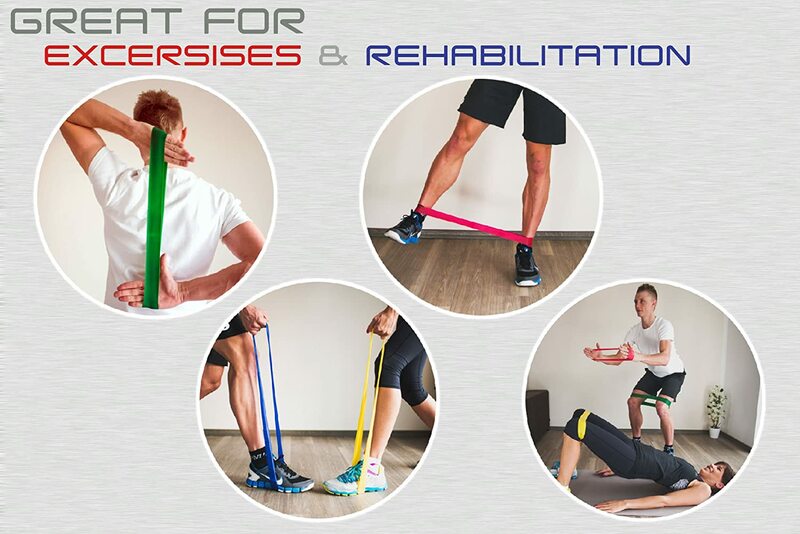 However, integrating strengthening and flexibility exercises into aerobic, rhythmic and learning-based exercise routines that are fun, engaging, progressing in difficulty and rewarding are the best. Swimming provides good cardiopulmonary training and maintains muscle strength. However, lap swimming does not challenge balance or stimulate variety of movements. Therefore, lap swimming is a second choice activity. However, since the arms, legs and head may be doing different things, it may increase coordination. The resistance of the water increases stiffness in some people and decreases it in others. For individuals with Parkinson’s disease who have difficulty in breathing, swimming may not be a comfortable aerobic activity. Thus, swimming may be an appropriate choice of exercise for individuals who have enjoyed it in the past and are comfortable with the techniques and those with musculoskeletal conditions particularly of the knee and back. Swimming using certain strokes can also help increase shoulder range of motion. 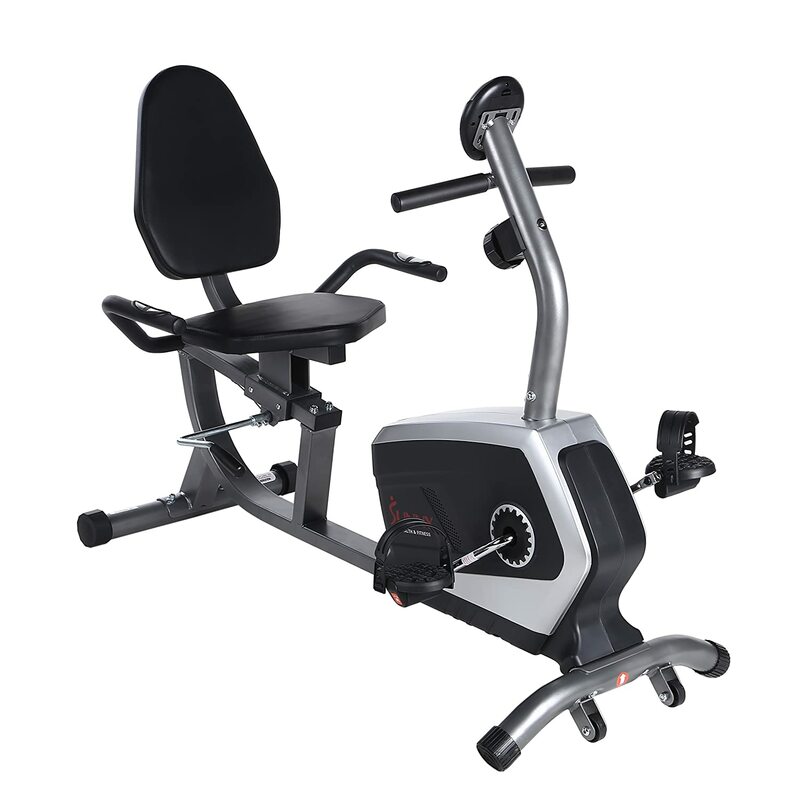 Exercises that require large, rhythmical movements through a full range of motion have been shown to decrease rigidity. For example, in a program of aerobic exercise using music, there was a reduction in rigidity in 9 out of 10 participants immediately after the exercise program. Cooling or warming the tense extremity can sometimes be helpful. The best time to exercise is when mobility is best. For individuals who take medications for Parkinson’s disease, the best level of function often occurs about 1 hour after a dose of medications. The answer to this question varies by individual. The individual reaction to the medication is also important. The guidelines for people with Parkinson’s disease are no different from those without the disease (i.e. 4-5 times a week for at least 30-40 minutes). This assumes that your heart is beating at 70 to 80% of maximum (220 – your age times 70 or 80%). Engage in group exercise, movement or dancing classes. For many, participating in activities with other people, can be more stimulating and increase compliance. 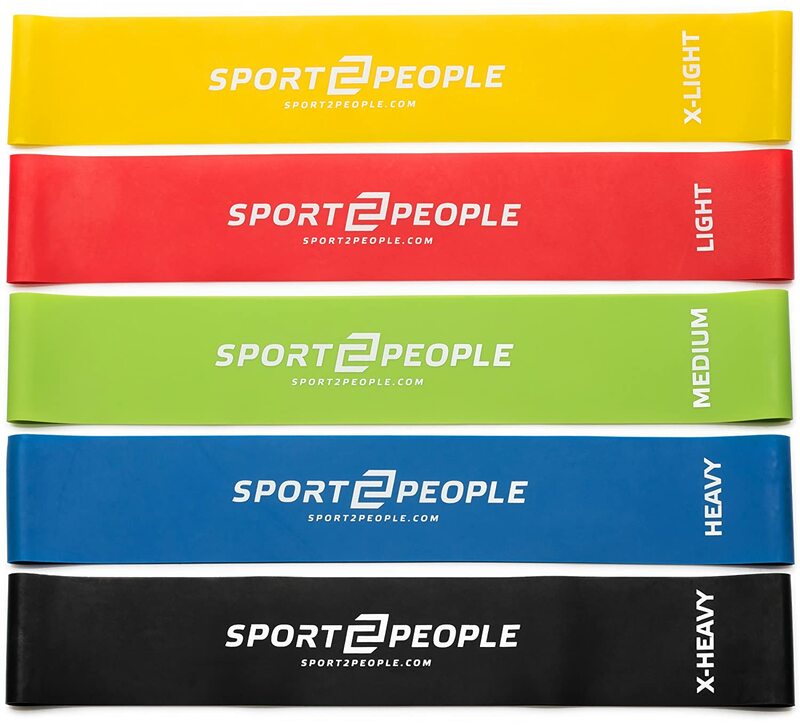 Example: These exercise bands are a great way to gently work muscles at home. They come in 5 strengths, and can be used for a variety of exercises. A “cool-down period” is important. After exercise, allow yourself a longer time for a cool-down than others would need (Individuals who exercised before developing Parkinson’s disease typically double their cool-down time). 2) Allows the muscles time to cool down gradually so they do not become stiff. If you listen to the news, talk to someone about it. Listen to educational programs and discuss what you learned. Do crossword puzzles or participate in memory training programs on the web or from a CD. If you are retired, consider volunteering your time to help others ( e.g. Red Cross, Meals on Wheels). Move about in the community and learn the tricks of keeping your eyes on a target to improve stability. Carry a cane to let people know that it would be best not to bump you. Learn to hold your pen lightly and write with big cursive type movements. Consider making the surface of your pen rough or sticky. This will help decrease the force of your squeezing the pen. Write by moving the whole arm, not just the fingers. Practice writing to music and even say the words out loud as you write. Circle making big movements. Talk slowly, clearly and loudly with a lot of expression of your eyes and your face. Have everyone speak loudly and slowly. If you find you continue to talk softly and quickly and people are having difficulty understanding you, then ask a friend to read and record some passages from a book. Then you put the head set on and hear your friends voice as you read the same passages. This may strengthen the learning. Often individuals with Parkinson’s disease have problems with abruptly halting or “freezing,” when walking. One person found that throwing pennies and stepping over them was helpful (“But,” he added, “don’t bend down to pick them up.”). Paced walking with high stepping. Pushing one’s self to stay active should be the goal. For some people with Parkinson’s disease, getting out of bed may become difficult. First, you might practice rolling on your bed. Roll back and forth and get a rhythm. Then with some momentum, roll to your side and come to sitting. You might have a dresser near the side of your bed so you could touch the dresser for stability if you need to. When specifically trying to come to sitting from lying in bed, roll over on your side. Push on your elbow and let your feet come over the edge of the bed and then sit up at the edge. Sit there for a minute to adjust and then rise to stand and then walk. This technique is not only easier but better for your back. This Stander Bed Cane can provide much needed support for getting out of bed. Wear satin pajamas or use satin sheets (but not both). Practice getting up quickly from a chair and taking a few big steps and then turn around and go sit back down. Practice safe skills by climbing and descending stairs. If you are seeing a physical therapist, the last three bullets are some of the activities that should be practiced. Exercise is a vital part of daily life for all people who want to stay fit and healthy. For people with Parkinson’s disease, however, it is more than just about staying healthy. For them, the right exercises can improve vital aspects of daily living, such as mobility and maintaining balance. Those with Parkinson’s Disease should speak with their doctor or an advisory group to work out a specific program to help them start or maintain an exercise program. Hands-Free Shoes Make Dressing Easier!